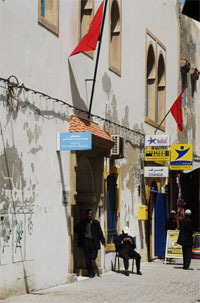 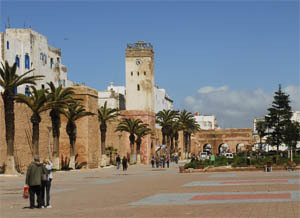 to the right the new Kasbah. 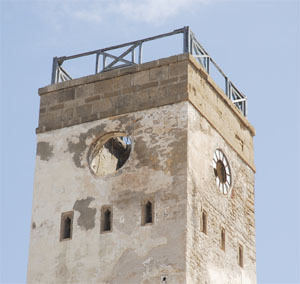 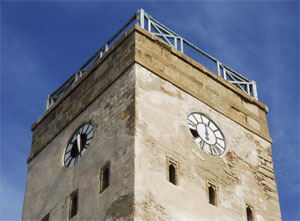 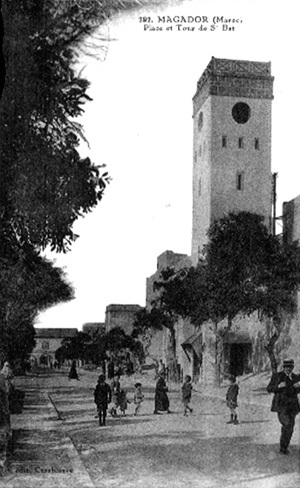 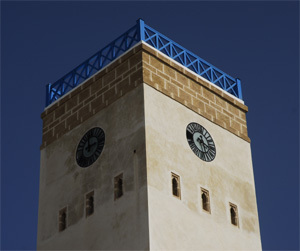 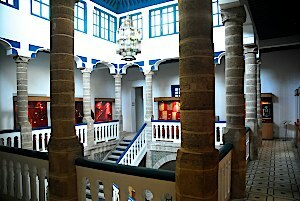 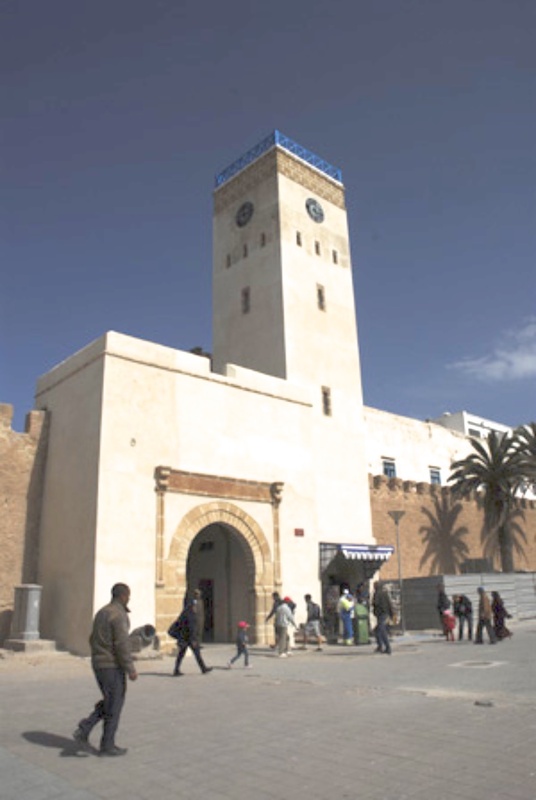 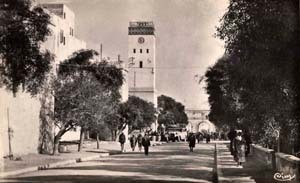 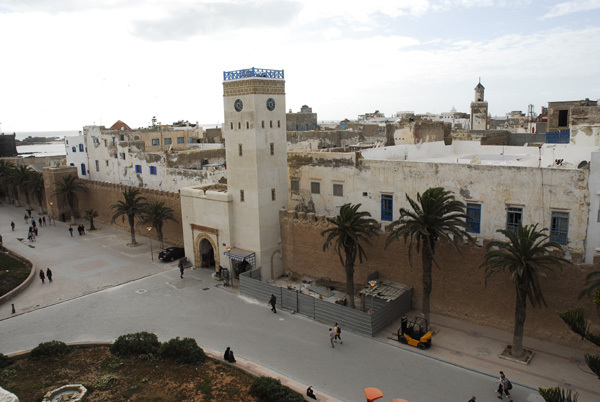 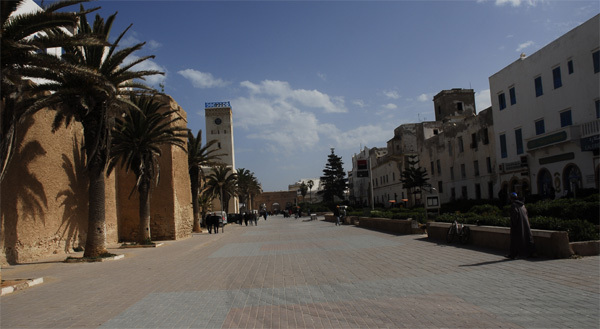 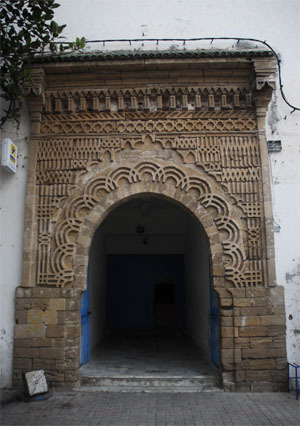 .The French General Maréchal Lyautey ordered the construction of the clocktower in the new Kasbah 1912. 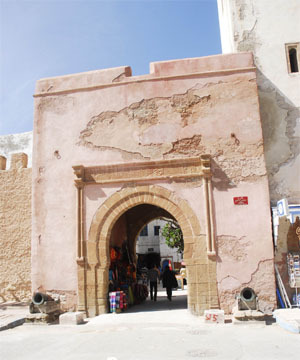 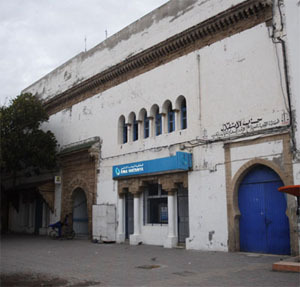 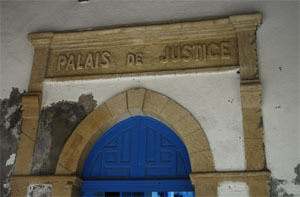 He was Resident-General of French Morocco from 28 April 1912 to 25 August 1925.
at Place Moulay el Hassan (Place Du Chayla) at the entry of Kasbah Medina.